Summer Book Trek: Rack Up the Points! 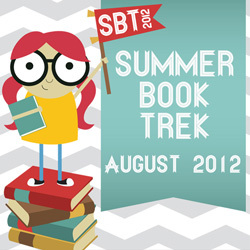 Use this Rafflecopter form to earn points during the 2012 Summer Book Trek reading challenge. Click Here to Sign Up for the Trek! NOTE 2: You can start reading a book now, but you don’t get points for reading unless you FINISH the book in August. NOTE 3: Yes. The three reading points are cumulative. So if the book is by an LDS author (+3), AND it’s a 2012 Release (+5), AND the book is a prize sponsor (+10), you get a total of 18 points for finishing that book! 1 = Sign up/Link up: This is mandatory. You have to do this one first to get to the other points. Does the trek start August 1st or has it already started? I noticed that there are already participants getting lots of points but most of the details state that it has to be done between August 1st and August 31st. Thanks for sponsoring this! I’m confused. Where and how do we record what we’ve read, blogged, etc.? Do we just keep track ourselves? I’d rate The Rent Collector, but it’s not listed yet on your list of 2012 releases. It won’t actually be out until next month. I’ll give it a five then. Jennie, go ahead and give yourself the points for rating it in the Rafflecopter above. I don’t post new releases until they’re available for sale online. That was one I was not aware of. I’ll put it on the list to do. Oops. I thought Michael Vey was 2012 so gave myself the 5 extra points. I will go rate a few more books to even it out. There is a new Michael Vey that just came out, Rise of the Elgen. Prisoner of Cell 25 was last year.